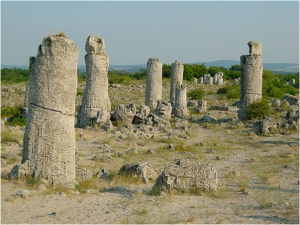 Pobiti kamani is one of the most unique natural phenomenon not only in Bulgaria but also in the world. It is located near Varna, close to the lakes. An interesting fact is that there are rocks with various of shapes and they look like in stand -up position. That’s where their name come from. Pobiti kamani is wide area of about 70 square kilometers in diameter. Some of the rocks are from 5 to 7 meters high and with radius up to 3 meters. The most of the rocks are with cylindrical shape, with a hollow inside. This rock have no base, they are stuck in the ground and some of them are up to 100 meters inside the ground. Pobiti kamani are considered to be 50 000 000 years old when there were a sea, named Lutevsko. Use a car hire in Bulgaria service to go there and take a look of the amazing sight seeings of Bulgaria.